Intricately weave Celtic spiral and celtic knot patterns adorn this quality cross pendant in 14k yellow gold. Cross measures over 1 3/16" tall (or 1 9/6" tall with hoop/bail) x approx. 7/8" wide. View our collection of quality Celtic crosses. 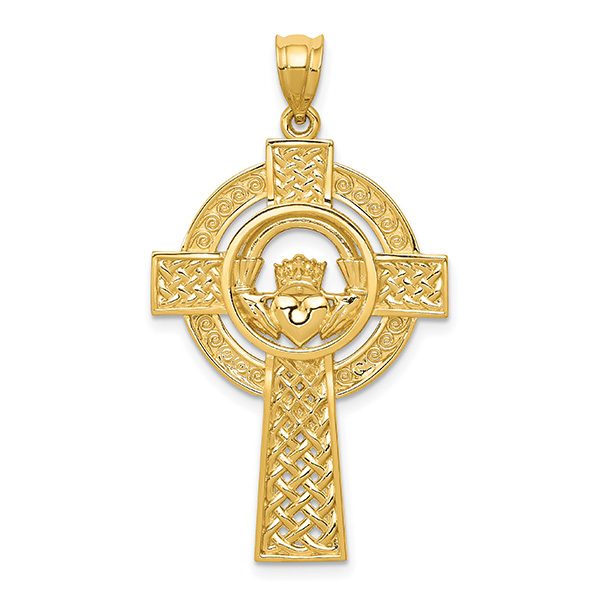 We guarantee our Celtic Spiral Cross Pendant, 14K Yellow Gold to be high quality, authentic jewelry, as described above.